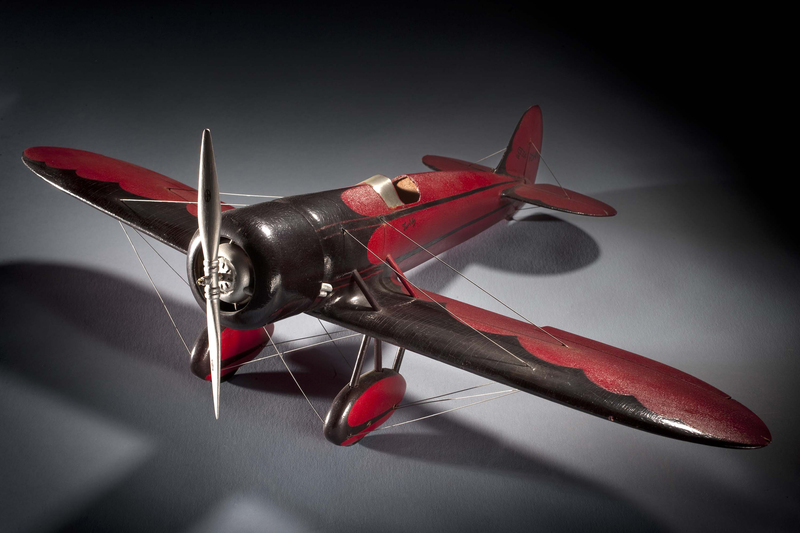 A Travel Air Model R, piloted by Doug Davis, won the 50-mile free-for-all speed contest at the National Air Races in 1929. Despite having to re-circle a missed pylon, he still beat the Army and Navy's fastest pursuit aircraft. Walter Beech, president of Travel Air, did not allow press access to the aircraft while it was being built or at the races. The Model R was, therefore, dubbed the "Mystery Ship" by the press. This model was donated by Thompson Products, which sponsored the race.